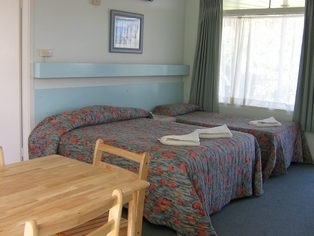 Newcastle Heights Motel has been accommodating guests for over 40 years. Many business reps, medical, sales and training personnel return regularly for the clean, comfortable and affordable lodgings provided, and for the handy proximity to the many businesses, events and attractions Newcastle has to offer. With four family rooms, 14 double/single rooms and 2x 2 bedroom units, the motel caters for group and club bookings as well as individuals. Various sporting clubs including surf, netball and basketball clubs, the army, etc. have utilised the motel for a "home away from home" base. 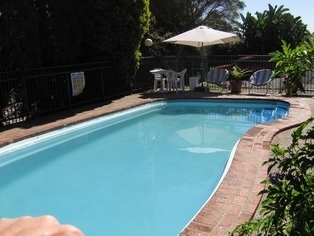 The inground pool and gas barbecue facilities further enhance this feel. Being situated on the Pacific Highway in Charlestown, the motel is just 500 metres from Newcastle's largest shopping centre, Charlestown Square, and just 2km from Westfield Kotara. A short five to ten minute drive will take you to the CBD, any of Newcastle's beautiful beaches, the Energy Australia Stadium (home of the fabulous Newcastle Knights), Newcastle Entertainment Centre, the watersport hub of Lake Macquarie, Hillsborough Showground, John Hunter and Lake Macquarie Hospitals and our learning institute, the University of Newcastle. Upstairs 2 bedroom unit. Open plan lounge, dining, kitchen. Bedroom 1 has a queen bed, bedroom 2 has 2 bunks or a double and single bunk and trundle, plus a single sofa bed in lounge. Rates are for 4 people. Maximum occupancy is 5. Extra guest $15 per night. Bedding configuration is based on availability only. Rates are for 1 person Maximum occupancy is 3. Extra guest $15 per night. Bedding configuration is 1 queen, and 1 single or sofa bed. Reception is open from 8am to 9pm daily. If arriving after 9pm please contact motel directly on 02 49433077 to arrange alternate check in arrangements. Children and extra guests are welcome with a charge of $20.00 per head for each extra person over the standard queen (2), family (4) or 2 bedroom (4) room rate. The motel is situated at 270 Pacific Highway, Charlestown. Coming from Sydney take the Swansea/Belmont turn-off from the F3 motorway, come through Charlestown and look for the big blue and yellow "Motel" sign on the left approximately 500 metres past Charlestown Shopping Centre, right next door to Thrifty's. Coming in from the north, stay on the Pacific Highway through Hexham, Sangate, Mayfield, Islington to Hunter Street, turn right onto Stewart Avenue (Pacific Highway) and follow the signs to Charlestown. Look for the big blue and yellow "Motel" sign on the right approximately 500 metres past the water tower and right next door to Thrifty's. Take the train to Broadmeadow Station and either ask the taxi driver to take you straight to Newcastle Heights Motel or catch one of the following buses to Charlestown 216, 217, 226, 228, 316, 317, 322, 327, 348, 349, 350, 358, 359, 427. If you're into water sports you couldn't come to a more versatile place with some of the best surfing beaches in Australia and a lake over four times the size of Sydney Harbour. Surfing, water skiing, fishing, sailing... you name it we've got it. If it's bush walking you like then we've got the Watagan Mountains National Park. Golf courses, bowling, go-karting, theatre, restaurants, shopping, etc, are all within ten minutes of the motel.